Today William talked with two anarchist healthcare workers in Asheville, NC about the Trump administration’s censorship of language regarding the Center for Disease Control and Prevention’s 2018 budget proposal documents. In this short episode we talk about what this means, some recent context for similar censorship, how CDC budget documents affect people’s everyday lives, and recommendations for how to move forward. Unfortunately the taping of another show made it into the background of this minisode, sorry about that. If you listen closely you might learn something about the latest game. 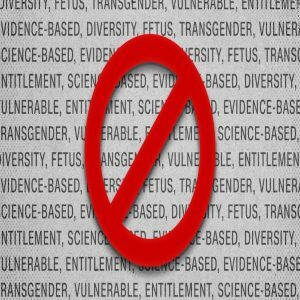 To read more about this recent censorship, you can get online and type something along the lines of “CDC list of banned words” into your web browser for some more background context. 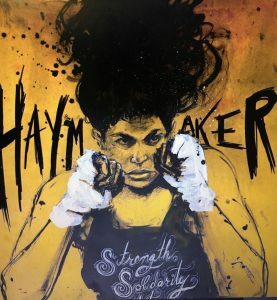 This week, we’re airing the formerly only podcast conversation I had with organizers of the Haymaker Gym project in Chicago, IL. 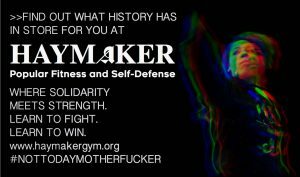 Haymaker is an explicitly anti-fascist and feminist self-defense initiative. If you want to help out the Haymaker project, until August 14th they have a fund raising page up at launchgood.com and search for “Haymaker self defense.” If you want to encounter the folks from the gym and get involved in some of the startup events, you can run into them at the Breakaway Autonomous Social Center at 2424 S Western Ave Chicago, IL and more info on that project can be found here. NC Resists the Grand Jury, Donate to Katie Yow! In July of 2017, long-time activist Katie Yow received a subpoena to testify before a grand jury in North Carolina. The subject of this grand jury has been revealed to be what the government has described as a bombing at the GOP headquarters in Hillsborough, NC this past fall. Katie has expressed no knowledge of any relevant information to this alleged event, yet is continuing to resist the inquiries of this proceeding. Grand juries are not regular trials, but rather operate in secrecy where normal rules of evidence do not apply. The prosecutor runs the proceedings and no judge is present. This type of proceeding has been used as tools of the State to isolate, divide, and destroy social movements since the 1960’s. They have been used to sow distrust and coerce information from the Chicano, Puerto Rican, and Black liberation movements, the anti-war movement, and more recently the environmental, animal rights, and anarchist movements. They are currently especially being wielded against anarchists, anti-fascists, and indigenous water protectors who struggled at Standing Rock. But we have powerful tools as well, those of resolute silence, courageous refusal, and fierce solidarity. In honor of her principles and the different world we struggle for together, Katie is refusing to cooperate with this witchhunt. In addition to legal support, navigating the possibility of an unknown amount of jail time, away from work, can be expensive. Please consider making a donation to support Katie’s refusal to participate in the grand jury by going to the support page. You can learn more about this case and keep abreast of updates by going to NC Resists the Grand Jury. 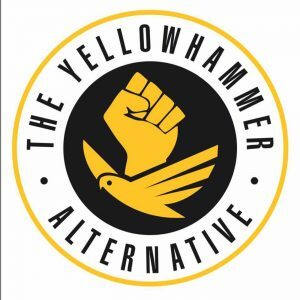 Regular listeners to The Final Straw, and anyone who’s clued in to southern antifascism, will be aware that there is opposition planned to a Unite the Right rally in Charlottesville Virginia next Saturday, August 12th. 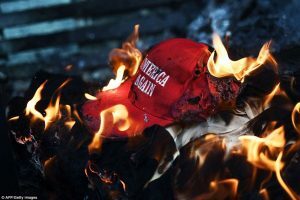 For any folks still feeling uncertain of what is going on and who will be there, there is an excellent article on It’s Going Down about the specifics of all the Neo Nazi, white nationalist, and all around bonehead alt righters who may be showing their miserable faces in Cville on the 12th, plus some context for why these fashies are dragging themselves out from behind their computer screens in the first place. You’ll get to read about such charmers as the Traditionalist Worker Party, Identity Europa, plus Neo Nazi Jason Kessler, local to Cville, who is one of the brains behind this march in the first place, plus many others. If you can’t make Charlottesville but will be in the Asheville area, consider Pansy Fest. Pansy Fest is a new queer and trans DIY music and arts fest in Asheville, NC, August 11-12th. Proceeds will go towards two beneficiaries: Beloved House and Southerners on New Ground. If you are local and you would like to help with support functions (set-up, tear-down, stage management, local housing, etc) you can contact the organizers at pansyfestavl@gmail.com. On August 11th, at Static Age Records in downtown Asheville at 7pm there’ll be a show who’s lineup includes Bryan Estelle, Crooked Ghost, Sister Mantos and many more. Dearest Asheville (and surrounding area) Queers! “Glitter and Bone is a radical queer collective hosting what is, basically, a big party. We have no official status as an event or an organization, nobody makes a profit or gets paid. We ask for donations only to cover our expenses. The dis-organizers are queer/trans folx who are concerned about emotional, psychological and physical safety of queer and trans people at skills events, and want to create a safe space for our queer/trans community to learn skills, be in the wilderness, and thrive. Registration begins at noon on Friday, August 18. Event begins Friday evening, 7pm, and ends Sunday afternoon, 6pm. Glitter and Bone provides rustic camping, composting outhouses, and water/soap for handwashing and meal clean up. We do not have showers. Meals are not provided, but a large, rustic communal kitchen area will be maintained, with both open fire and camp stove cooking. Pack for a typical weekend of camping, bring whatever food and supplies you would bring for that. Please see the specific list of what to bring below. For folx unfamiliar with rustic camping, we provide support in finding a good camp spot, pitching a tent, understanding the bathroom situation, learning how to cook over an open fire, etc. No judgement here, we want more queers in the wilderness! You can get in touch with G&B at that email, keep in touch with them on tumblr at their tumblr, and link up w them on the Fedbook by searching their name! The 13th Amendment of the US Constitution still allows slavery, creating an increasing population of caged people who provide free or near-free labor to stockholders of the Prison Industrial Complex and profiteers of mass incarceration. As a result, American jobs are lost and job-seekers are victimized because private industry cannot compete with involuntary servitude. Therefore, citizens of Asheville North Carolina invite you to a Solidarity Rally with Millions for Prisoners Human Rights March on Washington DC. There, we will peacefully assemble to let Congress know, it is time to end slavery once and for all, delete the exception clause in the 13th Amendment authorizing prison slavery, and stop profiteering in its tracks – because all workers deserve living wages. All Asheville and Buncombe County residents are invited–especially our elected representatives and those running for office this election season. Voters, your constituents, want to know where you stand on this matter. Center, with more endorsements forthcoming. For more information, please check out this Facebook event. This week we spoke with James. James is involved in anti-fascist and anti-repression work. Over the hour we spoke about the election of Donald Trump, the need for resistance in the face of a rising autonomous ethno-nationalism in the form of the alt-right and other formations, liberal ideas of the CIA and deep-state saving us from “ourselves,” autonomous community building and self-defense and more. First, we spoke with Kamau Franklin, who is a radical activist, the political editor for the online publication Atlanta Blackstar, and former attourney based out of Atlanta, GA. We are speaking today about Ungovernable, which is a radical organizing platform rooted in anti state Black and POC autonomy, how it began, its directives and ideals, and how to best move forward in this political moment among many other things. 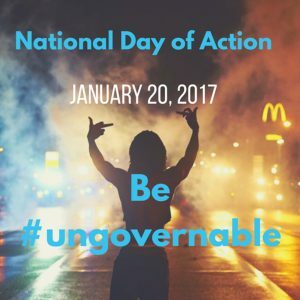 To learn more about Ungovernable, you can visit their website at https://www.ungovernable2017.com/, also you can hit them up on fedbook by searching “Ungovernable 2017 and Beyond”, our guest has also invited people to message him on the FB too, you can do that by searching his name spelled Kamau Franklin. The second segment is an interview conducted by audio comrades from the Slovenian anarchist radio project called Crna Luknja with a member of the Turkish anarchist group DAF & an editor of their newspaper, Meydan. As we announced recently on the show, the main editor of Meydan, Hüseyin Civan, has just been sentenced to 15 months in prison in relation to 3 articles in their December 2015 issue dealing with the struggles of Kurdish minorities and the resistance they offer to the Turkish state’s slow genocide. Sean Swain, an anarchist prisoner who’s generally got a featured segment on this show and has for 3 years as of this week, has been on hunger strike at Warren Correctional Institution in Ohio since December 26th and has been placed in a suicide cell. Although details are still murky, we know that Sean has been without food since December 26th. He was charged with extortion of a deputy warden and had begun a disciplinary process when he began his hunger strike and was placed in a suicide cell. We know that the prison is recognizing his hunger strike and following the associated procedures, which include taking him to the medical unit every day and weighing him and taking his vital signs. It is unclear whether they are attempting to negotiate with him in any way. Please take a moment to write a letter of encouragement to Sean and to call the following prison administrators and encourage them to negotiate with Sean and help him end this hunger strike as quickly as possible.